Experience is a good teacher until technology changes. With recent advances in chemistry and engine technology, things can get pretty confusing. There are also some common misconceptions that can lead to expensive repairs. You invested in the latest technology for your apparatus—it might be time to review the more common engine maintenance oversights. 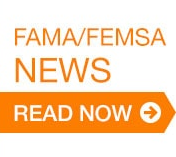 Fire Apparatus Manufacturers’ Association (FAMA) member companies want your apparatus and equipment to be functioning properly at all times and hope you will find this article helpful. An air filter failure is the most expensive mistake that can easily be avoided. Most chassis are equipped with an air restriction indicator that gives a general idea of filter life. However, you can’t go by the restriction indicator alone—there is also a time factor. Some manufacturers specify changing the air filter element at each oil change while others have an annual filter change requirement. There are three key considerations when changing the air filter. Blowing out air filters with compressed air can tear the paper element, resulting in a leak path that allows dirt to directly enter the engine. When changing the air filter, ensure that air system clamps are straight and tight to prevent loosening during operation. When inserting the element into the canister, make sure that it is seated squarely against the filter housing before tightening. Liquid cools better than air. Newer technologies such as exhaust gas recirculation (EGR) coolers that cool 1,200-degree exhaust gas with 200-degree engine coolant have a challenging job. Public enemy number one for EGR coolers is air in the cooling system. With many remote components, like heater cores, it can be a challenge to get all the air out of the system. To get a complete cooling system fill, vacuum coolant fill systems are the best approach. If a vacuum system is not available, make sure to fill the system at a rate of no more than three gallons per minute with premixed heavy-duty engine coolant. Manufacturers may also have specific instructions to open particular vents when filling to ensure a complete fill. Today there are many chemical compositions of coolants that may require different maintenance programs. Know what coolant was used when your apparatus was built and top off the fluid with the same chemistry. Most manufacturers include a label near the fill location to identify the correct coolant. Contamination with greater than 25 percent of the system volume can require draining the system. Different coolant chemistries also have different suggested testing requirements that range from testing at each oil change to testing over a given number of years. These may vary from using a test strip at each oil change to sending in a coolant sample for testing after two to three years. Complete coolant replacement can vary from two to eight years depending on the initial coolant used. Failure to maintain the cooling system can lead to water pump seal leaks and much more expensive repairs such as pitted liners and block counterbore pitting. Automatic belt tensioners and silicone hoses have greatly extended the life of belts and hoses. However, both need to be inspected on a regular basis. Silicone hoses expand more than traditional rubber hoses. Look for cuts around clamps, relaxation of the clamps, and deformation of the hose—especially around the clamps, which can indicate an impending failure. For belts, look for shiny areas, or glazing, on the ribbed side, which might indicate slippage or misalignment. Some belt manufacturers offer tools to check for wear on the ribs. Most belt manufacturers publish a shelf life for belts (some as long as eight years), but five years may be a good rule of thumb. Cracks along the ribs of the belt are a reason to change the belt. Cracks that occur across the ribs may also indicate the need for replacement. Pay special attention to secondary belts that run components such as refrigerant compressors as these tend to wear more quickly. Radiators not only cool the engine coolant but are also a great filter for any road debris. Using a flashlight to look through the core can be a good indicator to determine cleanliness. A mild detergent and garden hose are the best approach to cleaning radiator cores. It only takes a second with a pressure washer or compressed air to significantly damage a radiator. Since 2007, most manufacturers have included a crankcase breather filter to remove oil from the crankcase gas. These are generally located on the valve cover or on the side of the engine. Engines built after 2010 require the use of diesel exhaust fluid (DEF) to meet emissions standards. Making sure that the fill neck and nozzle are clean before filling DEF can prevent plugging of the DEF filter. If clean DEF and proper filling procedures are used, the DEF filter can last the life of the vehicle. Otherwise, the DEF filter in the pump may need to be replaced. This may be something you want to add at your five-year maintenance check. 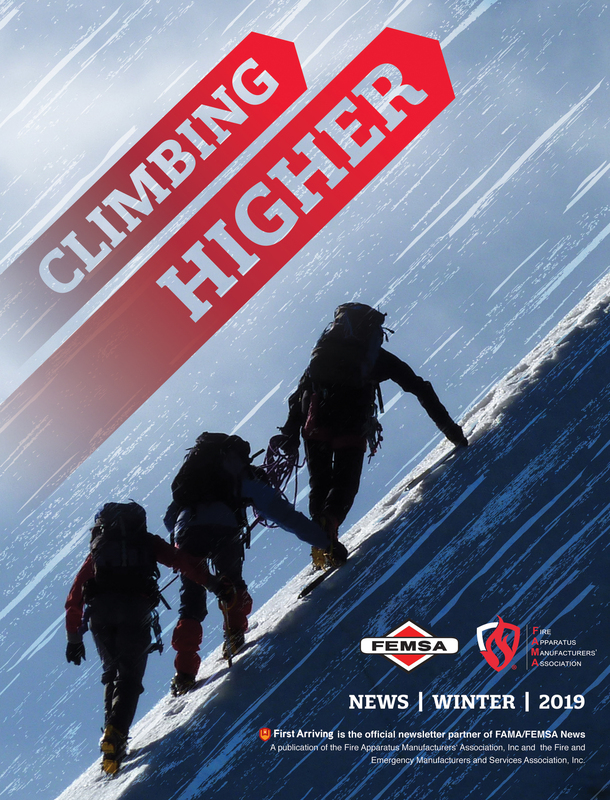 In addition to the tips in this article, FAMA members have been working to improve the information available on apparatus and equipment. 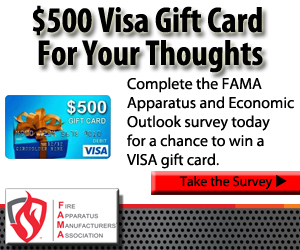 This information can be found at FAMA.org or on member company Web sites. Your apparatus or component dealer that has certified emergency vehicle technicians is also an excellent resource to find the latest in maintenance recommendations. Many also offer maintenance programs to allow you to get the most from your investment. Your best defense against expensive failures and to ensure warranty coverage is to follow the recommendations published by the manufacturer.